Happy Mothers Day to all the Moms out their, including my own. What we owe our Mothers is incalculable. 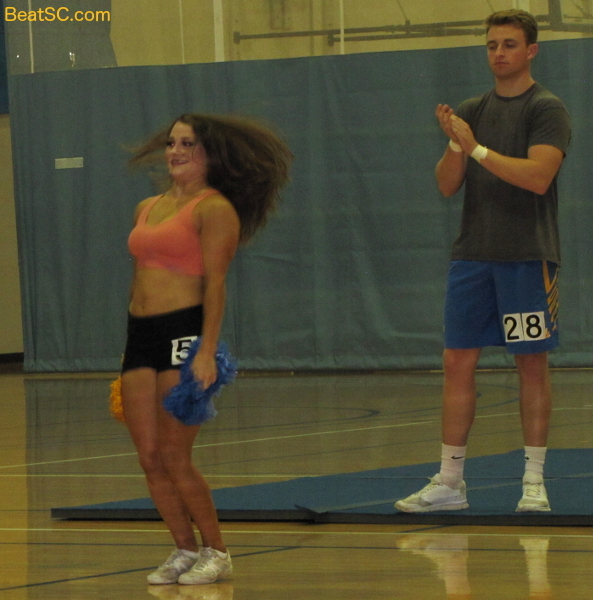 It is hard to put into words, but several of the students trying out for the UCLA Spirit Squad last week made a gallant effort to do just that. The UCLA Spirit selection process includes an interview portion. This is a crucial facet of the annual event, as it allows the judges to make sure that the Squad is limited to girls who are intelligent, articulate, poised, humble, natural, authentic, and generally down-to-earth. It helps to weed out any ditzy, phony or conceited students — further obliterating the cliched cheerleader stereotype. During this section of the day/night, many applicants lauded their Mothers when asked about their best teachers, the most influential people in their lives, and their closest friends with whom they would want to share first about the audition. Dance Team Katy (pictured above) gave such a heartfelt testimonial to her Mom — who was present at the event — that there wasn’t a dry eye in the house when she was done. So in honor of all the Cheer Moms and the children who love them, here is a small mother lode FROM THE CHEER SQUAD portion of the auditions, as I progress through 1109 audition photos. These are from pics #51-#100. "MOTHER LOVERS" was published on May 12th, 2018 and is listed in UCLA/usc/Cheerleader Photos. GO BRUINS! to all our moms!